same here. really wanted to show up, but was super tired. gotta show up next time. where have you been interviewing @ocramz? I did 2 interviews with Combine AB, then they turned me down for my lack of industrial experience. Too bad for them! where is Improbable and Tweag.io located, the US? I'm guessing SC is either London on Singarpore? I'm guessing SC is either London on Singapore? so, for Tweag.io you could remain in Gothenburg? @magthe Regarding the Advent of Code repo – I'm really bad at git... Is it possible to keep a private .gitignore around for my project without making changes to the one in the root of the repo? @eriksvedang Indeed. 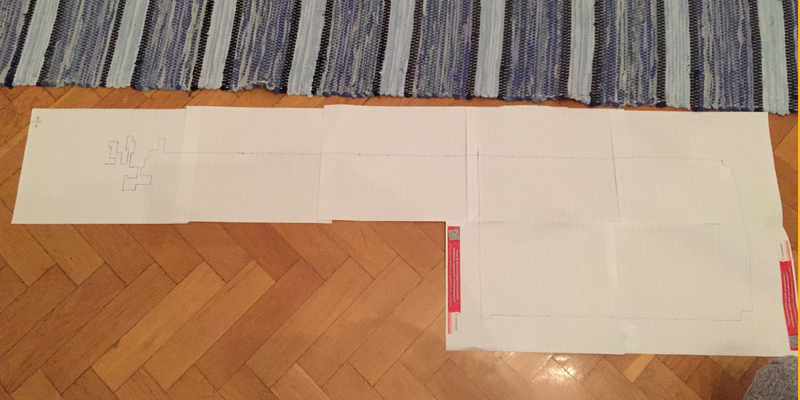 The problem with mapping different aspects onto a single dimension. @eriksvedang I guess it is a symptom of most people only working in a limited domain. 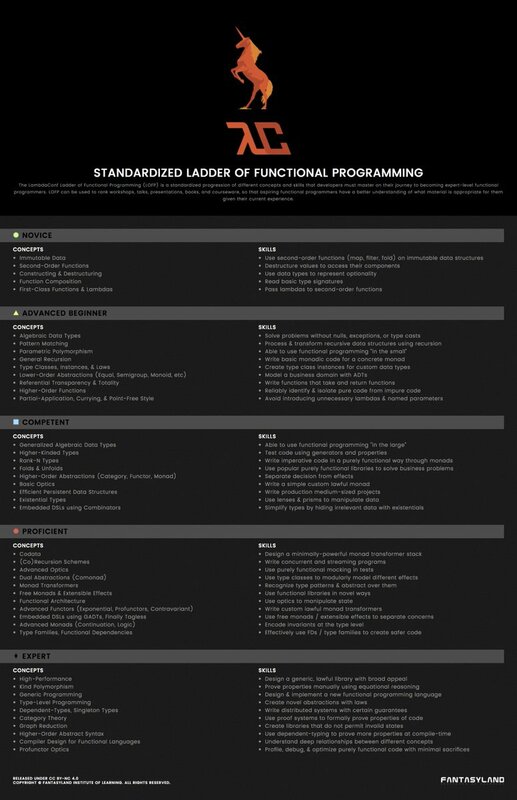 I think the FP ladder can be useful for ranking though, and if you go to a talk or a workshop then you know what you might want to refresh or look up. Maybe. I wonder if it is supposed to be descriptive or normative though, i.e. does it reflect the current skill levels among programmers, or prescribe a desired learning path (if applicable). isn't the people behind lambdaconf also tightly connected to purescript? @magthe Yours too ^^ Any suggestions for things I should think of? I really enjoy the aspect of "changing requirements"
IIRC it's a slightly weird language, only one type, strings, no? very Haskell ^^ never heard of that either! mm... are they for pairs? @eriksvedang , what's that diagram? a solution to the first puzzle in AoC? though I wouldn't trust my answer if doing it like that! @ocramz @eriksvedang Also https://www.haskell.org/hoogle/ . @ocramz Not just C, but C++? @ocramz What's the rationale for C++ over C? Some (many?) prefer to write their application in some higher level language like Python and dish out the algos to C. I don't know C++, but it seems to me that C++'s strengths would come into play for larger scale applications and/or frameworks. @ocramz Financials is pretty special in that there is a lot of money directly visible, so developers get payed more. C++ is just the tool they have to use to get the job done.